Let’s cut right to the chase: iOS 10 looks great, works really well, and does more to freshen up the iOS experience than any update before it. It brings some pretty significant changes like the all-new lock screen behaviors, but iOS 10 still feels familiar enough that the new gestures become old hat after just a few days. The apps that got the biggest overhauls are, frankly, the apps that needed them: Music and Maps. The former is less of a mess in general, and the latter is easier to use en route especially, with big easy-to-tap buttons to change the view, toggle the audio cues on and off, or just find a darn cup of coffee or gas station along the way. Messages gets plenty of dramatic sizzle with its full-screen animations, bubble effects, and stickers, but I think the steak will be the apps that let you get things done right inside a Messages conversation, such as reserving a table at your favorite steakhouse (just to tenderize this metaphor a little more) and then split the check with your friends when you’re done. 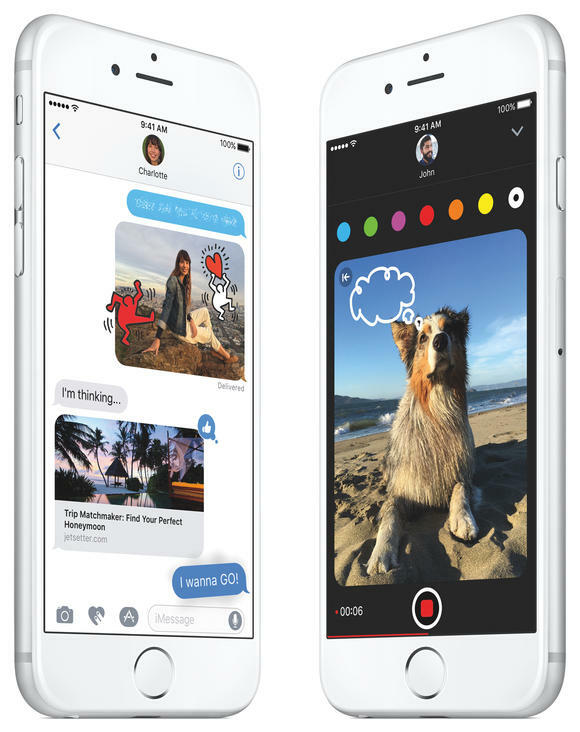 Messages gets a big overhaul, but the new extras are easy to ignore if you’re not into them. But even apps that don’t look that different are still better. iOS 10’s improvements touch every part of the system. The QuickType keyboard now intelligently suggests your phone numbers and email addresses when you’re filling out a form that asks you for them. iOS can correctly predict the identities of people whose numbers are in your email somewhere, but not in your Contacts list yet. And the all-new, very handy widgets and redesigned Control Center are never more than a swipe or two away. It takes a day or so to get used to the all-new lock screen, but once it becomes familiar, it’s so much better. Who should get iOS 10, then, if not today, as soon as possible? Anyone who wants it. This is a solid release that’s been thoroughly tested, and it might even make you feel like you got a new iPhone or iPad. These people should especially consider it. Apple Watch users. To upgrade your Apple Watch to watchOS 3, you need to first upgrade your paired iPhone to iOS 10. And you’re going to want to, because watchOS 3 is pretty darn great. It’s got an all-new app called Breathe that prompts you to take minute-long deep-breathing breaks throughout the day. It’s got sharp new watch faces, including several that incorporate the Activity rings into the design. And I’ve been loving the new Home app, which lets me control my HomeKit lights and scenes from my wrist—it’s so much handier than digging out my iPhone every time. 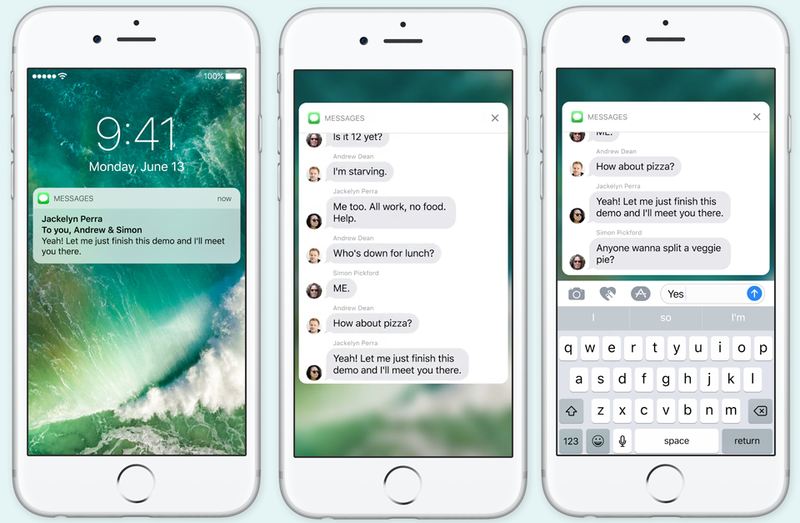 iOS 10’s more interactive notifications let you do more without opening apps. People who don’t have a lot of space. Apple deserves credit for continually trying to correct old mistakes, and the footprint of iOS is a prime example. When iOS 8 came out, people had trouble upgrading over the air, unless they had more than 5GB of free space—a tall order for someone with a 16GB iPhone. With iOS 9, Apple reduced the amount of space the OS needs period, as well as how much free space you need to upgrade over the air. Happy, the trend seems to be continuing with iOS 10. Beta testers on Reddit have reported getting about 8 percent of the phone’s capacity back as free storage space, which of course is a lot more on a 128GB device than a 16GB one, but nothing to sneeze at either way. I’ve been running the betas on a 32GB iPhone SE that’s usually pretty stuffed with photos and music; when I updated over-the-air to the iOS 10 Gold Master, I had 4.3GB free and received no warnings about needing to delete apps or files. It just worked. 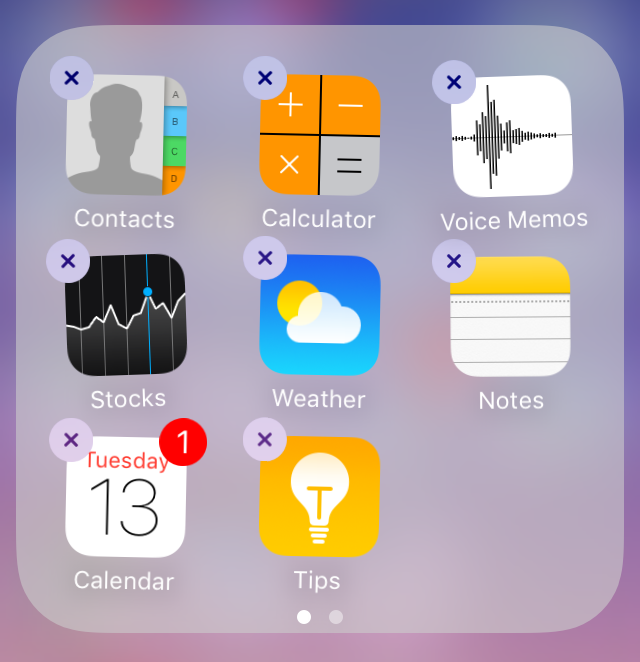 Now that I can finally delete Apple’s apps, I wound up keeping ‘em anyway. Apple app haters. If you hate having a folder full of apps you don’t use but can’t delete, well, now you can delete them. You know what, though? It turns out that for me, knowing I finally can has been good enough. I’ve had iOS 10 since the first betas, and besides a little test to see what would happen, I still have the Stocks app, the same Stocks app I never use and have always wished I could make disappear. I like the new Maps app, and look forward to the third-party extensions, but directions do still crash every now and then. Smart home owners. If you own smart home devices, sadly you can’t assume that they’ll continue to work seamlessly after you upgrade from iOS 9 to iOS 10. Kevo, for example, send its customers a warning about a “bug” in iOS 10 affecting its smart locks’ behavior. The locks still work, but a feature of the software will be temporarily disabled. To be on the absolutely safe side, check with the manufacturers of any smart home gear you use with your iPhone or iPad before you update to iOS 10. You can visit their site, inquire on Twitter, or even look in the Updates tab in the App Store to see if their app has an update that mentions iOS 10.
iPhone 5 and 5c owners. iOS 10 will run on iPhones as far back as the 5 and 5c, but those have an A6 chip, several generations behind the A10 that Apple just put into the iPhone 7. We haven’t done much testing with iOS 10 on anything older than an iPhone 6 just yet, although Caitlin had no problems with iOS 10 betas on an iPad Air, which has an A7. If your iPhone 5/5c already feels sluggish or like its battery life has seen better days, you might want to hold out until we can do more testing and/or other helpful souls play guinea pig and report back their findings. People who haven’t backed up. It wouldn’t be a major iOS release without me harping at you to back your devices up before you upgrade. I recommend a tethered backup to iTunes so you can check the “encrypt” box, which backs up your passwords and Health data too. But an iCloud backup is fine too. If you can’t be bothered at the moment, hold off on updating until you do.